We are excited to be joined by keynote speaker Shawna Suckow during the December 5th MADA Annual Meeting. Shawna is a speaker with some serious knowledge of consumer behavior. Her style has been described as relatable, authentic, insightful and a fun delivery of serious facts. Shawna was a million-dollar buyer for more than 20 years. She began studying business-to-business and business-to-consumer behavior in earnest in 2009, and speaking to audiences of salespeople, marketers and retailers who were frustrated with the shifting marketplace and the influences of technology. 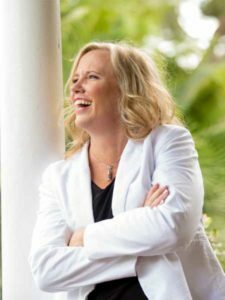 A best-selling author of three books, Shawna has spoken on five continents in 16 countries, helping businesses to understand the ever-evolving customer landscape. Welcome to the era of Relationship Marketing! Consumers all over the world are evolving and changing, and American consumers are particularly different than they were just a few years ago. Following the recession, buyers changed how they behave, how they prefer you to connect with them, and how they make their buying decisions. The days of cold calling are over, and buyers don’t respond to email anymore. They’re using technology and procurement processes more and more to lock you out of their process. Is the traditional sales role dying? What’s a salesperson supposed to do? Additional information about the MADA Annual Meeting is available here. Registration details will be mailed to dealers in October, or call MADA at (800) 292-1923 to register in advance.